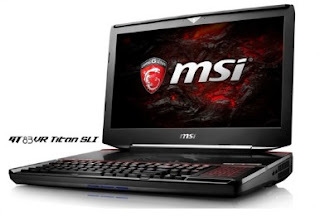 MSI delivers whole level gaming notebooks from GT series, GS series and GE series comes with VR Ready by latest GEFORCE® GTX graphics, from GEFORCE® GTX 1080 SLI of GT83VR Titan SLI, GEFORCE® GTX 1070 of GT72VR, GEFORCE® GTX 1060 of GS63VR Stealth and GE62VR Apache Pro, that could fulfill most of the gamers’ demand in every segment.MSI has always been numero uno, continuing the same legacy and the tradition, has become 1st one to launch top level GEFORCE® GTX SLI graphics in the market, and always have new ultra slim gaming notebooks with enthusiast GEFORCE® GTX graphics in the market every year. The GEFORCE® GTX 1080, GTX 1070 and GTX 1060 are with same architecture, same CUDA cores and same performance as desktop graphics, that’s also why that NVIDIA removed the initial “M” in the back of the mobile platform GPU. Gamers and power users are looking forward to our latest gaming notebooks to have better gaming experience in each segment of the product, also comes with better cooling design, better 100% sRGB display and sound experience than other competitors.MSI GT83VR Titan SLI is the King of latest generation of the SLI platform design and both matches the highest VR Ready standards.The GT83VR Titan SLI has an enhanced Cherry MX mechanical keyboard with red-color backlighting and SteelSeries Engine 3 of Macro Keys setup. Supporting GEFORCE® GTX 1080 and 1070 SLI of dual graphics, it is ready the top power system for all VR gears on the market. Extremely better MSI Matrix Display technology supports Surround View Mode, 3x4K@60Hz output for 3 external displays, delivering an immersive, smooth and true-to-life surround gaming experience.For high level sound system, sound by Dynaudio speaker system and Nahimic 2 presents great sound experience, the finest headset AMP by ESS SABRE HiFi DAC presents 32bit/384kHz Hi-Res Audio quality which is 16x more sound quality than CD audio, which could make any of your high-end headset perform with best experience ever.